Poland’s top officials including President Andrzej Duda and Defence Minister Mariusz Błaszczak, met in Elbląg for the closing ceremony of the Anakonda 18 military exercises. 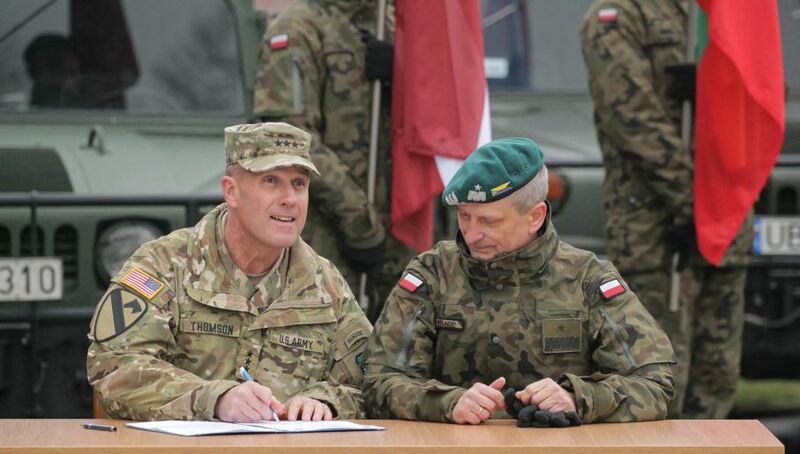 "As the commander of the Polish armed forces, I would like to thank all the generals, officers, soldiers and also the civilians, for actively participating in this great event. 12,500 soldiers in Poland and 5,000 international soldiers is a really big training event," the President said, greeting the commanders and soldiers. This year’s edition of the exercises was conducted along with celebrations of the 100th anniversary of Polish independence. Anakonda 18 was separated into three parts: the first was a test of a procedure concerning transferring command and responsibilities between the national army and NATO. It took place in October. The manoeuvres aimed to integrate national, allied and coalition command structures and forces as part of a process developing the capacity to lead strategic defence operations, preceded by anti-hybrid activities. Anakonda 18 did not only take place in Poland, where as many as 12,500 Polish troops were deployed. Nearly 5,000 soldiers took part in the manoeuvres in Lithuania, Latvia and Estonia, as well as on the Baltic Sea. It is the first time that the exercises took place in the Baltic Countries. The manoeuvres are a part of the fulfilment of decisions taken at the 2016 Warsaw NATO summit. The International Evaluation Team is checking the capacity of the Command of the International Division North-East (MND-NE) to meet allied standards as part of the so-called Combat Readiness Evaluation (CREVAL). Anakonda exercises have been organised every two years since 2006. In 2016, the largest edition took place, involving 31,000 soldiers from 23 countries.